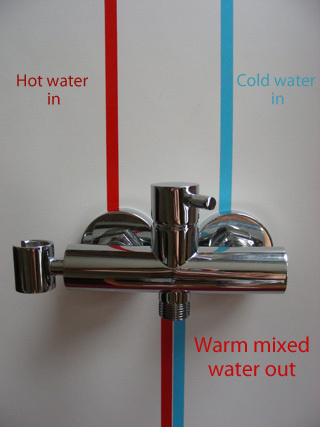 Toilet showers are easily installed to the standard water pipes. 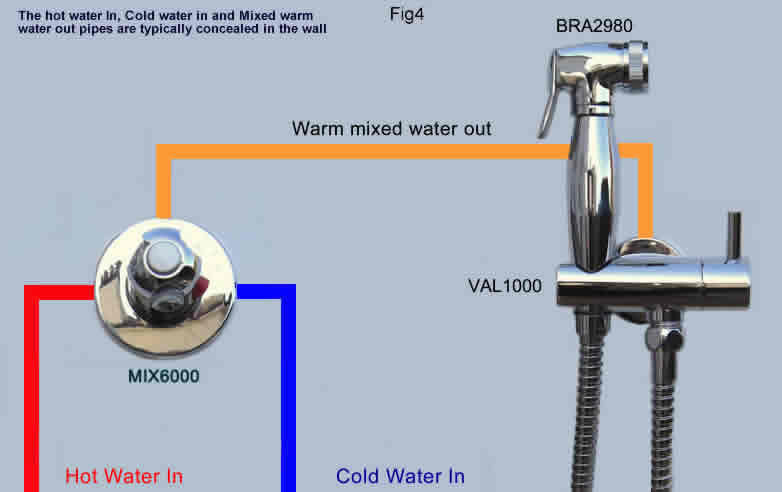 Be sure so that the toilet (bidet) showers functional by hand were installed in coincidence with the valid regulations and security standards of the water-economical administrator in your location. 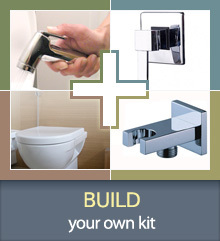 For the secure installation do use the services of the local qualified instalators. 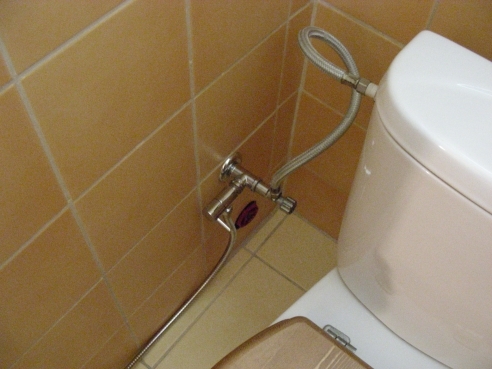 By this you make sure that the installation has a good quality and you will not lose the possibility of possible complaint of installation as well as goods itself. 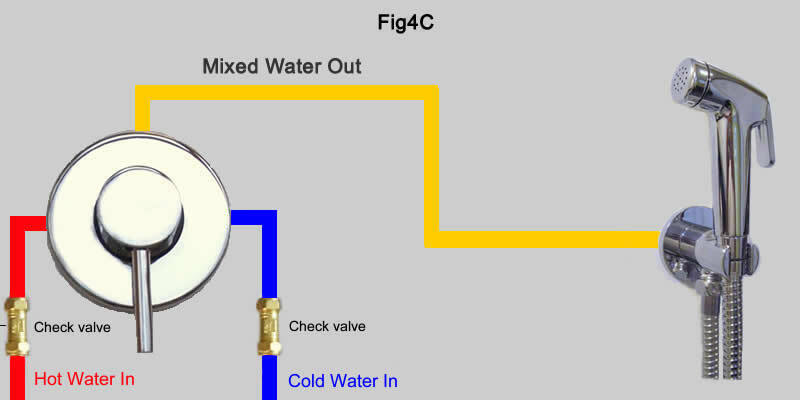 By installation of hand bidet (toilet) showers on water pipe stream without using the insured valve is too higher wearing out of the mechanical parts of the product, it's liveness is lower and both yours and other's property is in danger! 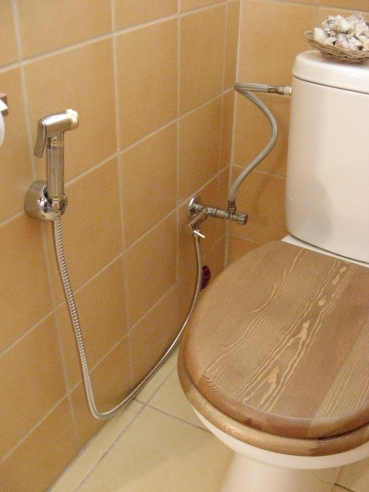 Closing of insured valve is recommended after each usage of hand bidet (toilet) shower. 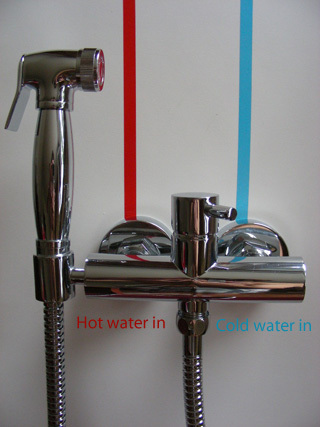 By that you stop the current pressure of the water on the mechanical parts of the product and you protect the possible damage and consequent flowing of the water to your household.